These super absorbent non scratch sponge scourers made from recycled foam wipe and clean surfaces wash up mop up and scour – and they’re environmentally friendly too! Pack of 2. 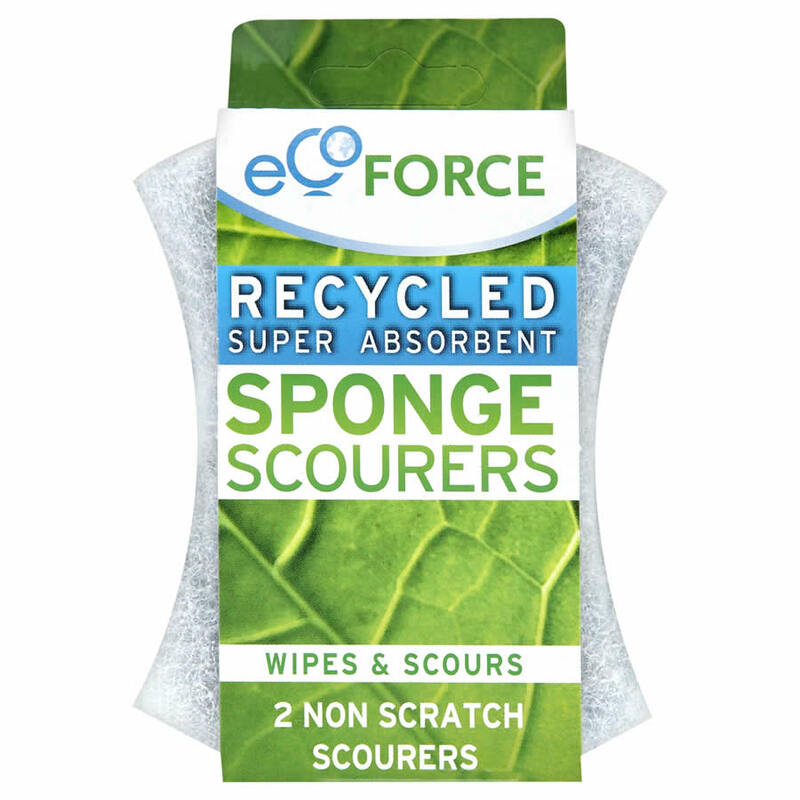 There are currently no questions to display about EcoForce Recycled Sponge Scourers - Non Scratch 2pk.